Note: Under this heading are included those Länder that ended up constituting the present-day Austria (with the exceptions of the Illyria components and the Vorlande [Vorderösterreich]). Note that common rulers of several or all of these polities are often recorded with different ordinal numbers; e.g., Emperor Karl I (1916-18) may be listed as Karl IV, archduke of Austria (apart from his very official style Károly IV, apostolic king of Hungary). In this record the normative numbering is that of Austria. In the time covered by this record, the common style of the ruler, with reference to these lands, is Erzherzog/Erzherzogin von Österreich, Herzog/Herzogin von Steiermark, Kärnten und Krain, Gefürsteter Graf/Gefürstete Gräfin von Tirol ("Archduke/Archduchess of Austria, Duke/Duchess of Styria, Carinthia, and Carniola, Princely Count/Countess of Tyrol"). The exception is Salzburg, for which see below. From the 16th century, Innerösterreich was the collective name for the duchies of Styria and Carinthia as well as Carniola and the County of Gorizia, as opposed to Tyrol and the western Domains. When the Habsburg lands were divided in 1379, Albrecht III received the countries on the Danube (Upper and Lower Austria); Styria, Carinthia, Tyrol, the old Habsburg lands in the west, and central Istria fell to his brother Leopold III. After Albrecht's death in 1395, new conflicts arose in the Habsburg family. Under the Vienna Treaty, the line of Leopold III split into Styrian and Tyrolean branches, resulting in three complexes of Austrian territory - a state of affairs that was to reappear in the 16th century. The individual parts came to be known by the names of Niederösterreich (then comprising Lower and Upper Austria), Innerösterreich (comprising Styria, Carinthia, Carniola, and the Adriatic possessions), and Oberösterreich (comprising Tyrol and the western domains, known as the Vorlande, from after 1500 as Vorderösterreich ("Austrian Forelands"). When Karl V abdicated, Ferdinand I became emperor in 1558, and thus the leadership of the empire was taken over by the Austrian (German) line of the Habsburgs. Maximilian II succeeded his father in Bohemia, Hungary, and the Austrian Danubian territories in 1564. Ferdinand, was endowed with Tyrol and the Vorlande; Karl received the Inner Austrian lands and took up residence in Graz. After Ferdinand II, Karl's son, was elected German emperor at Frankfurt in 1619, the name Innerösterreich was no longer used. After 1619, Vienna became the center of the Empire. From that time onwards, the former government of Innerösterreich (superior to the governors of Graz, Klagenfurt, Laibach and Görz, and those of Trieste, Fiume, Aquileia and Flitsch) was considered an intermediate government headed by a Statthalter. Noble titles: Edler/Edle = Noble; Erzherzog/Erzherzogin = Archduke/Archduchess; Freiherr/Freifrau = Baron/Baroness; Fürst/Fürstin = Prince/Princess; Gefürsteter Graf/Gräfin = Princely Count/Countess; Graf/Gräfin = Count/Countess; Grossherzog/Grossherzogin = Grand Duke/Duchess; Herr/Herrin = Lord/Lady; Herzog/Herzogin = Duke/Duchess; Kaiser/Kaiserin = Emperor/Empress; König/Königin = King/Queen; Landgraf/Landgräfin = Landgrave/Landgravine; Markgraf/Markgräfin = Margrave/Margravine; Pfalzgraf/Pfalzgräfin = Count/Countess Palatine; Prinz/Prinzessin = Prince/Princess; Reichsfreiherr = Imperial Baron; Reichsgraf/Reichsgräfin = Imperial Count/Countess; Ritter = Knight. from 1918 are part of other countries are listed there (i.e. Bohemia under the Czech Republic). from Jul 976 under the Babenberg dynasty. dynasty until 15 Jun 1246.
from this date Archdukes are continually elected Holy Roman Emperor (except 1741-1745)(see under Germany). 13 Nov 1805 - 12 Jan 1806 French occupation of Vienna. 12 May 1809 - 20 Nov 1809 French occupation of Vienna. 20 Mar 1848 Responsible government introduced. both regions are made separate crownlands of Austria. c.658 Part of Slavic principality of Carantania. in exchange for protection against the Avars. rulers replaced by Frankish margraves attached to Bavaria. Jul 976 Duchy of Carinthia (Herzogtum Kärnthen), separated from Bavaria. 1782 - 1791 Subordinated to Steiermark. 29 Mar 1797 - 1797 French occupation. 1804 - 1849 Subordinated to Steiermark. 27 Nov 1805 - 11 Feb 1806 French occupation. 30 Aug 1813 Austria re-occupies Villach (continuing under Illyria). 30 May 1814 Austrian rule formally restored at Villach (under Illyria). 1 May 1825 - 31 Dec 1849 Klagenfurt district also incorporated into Illyrian Kingdom. (within Krain as Klagenfurter Kreis). 11 Mar 1849 Kreisamt Klagenfurt provisionally made a separate state agency. 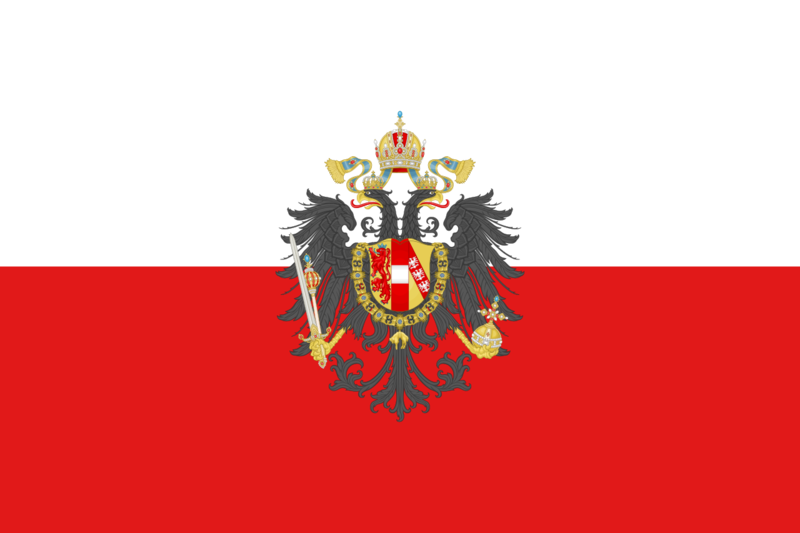 1 Jan 1850 Kärnten a separate Austrian crownland. 19 Aug 1813 Austria occupies Karlstadt (Karlovac). 26 Aug 1813 Austria occupies Fiume (Rijeka). 30 Aug 1813 Austria occupies Villach. 11 Sep 1813 Austria occupies Pola (Pula). 29 Sep 1813 Austria occupies Laibach (Ljubljana). 6 Oct 1813 Austria occupies Görz (Gorizia). 29 Oct 1813 Austria occupies Trieste (Triest). 2 Nov 1813 Austria occupies Split (Spalato). 6 Dec 1813 Austria occupies Zara (Zadar). 30 May 1814 Illyria is formally ceded to Austria by France. Illyrien" to the royal style. to Hungary. The Quarnero Islands remain as part of Triester Kreis. 31 Dec 1849 Dissolved into Kärnten, Krain, and Österreichisches Küstenland. form Habsburg royal style until 1918. 1815 Küstenländisches Gubernium organized, within Illyria. zu Triest, by the (the Landes-Gouverneure zu Triest). 25 Jan 1850 Imperial patent grants a constitution, but it is not implemented. the statthalter (governor) of Küstenland. area continues to be referred to as "Küstenland"
3 Nov 1918 Trieste occupied by Italy, end of Austrian rule. large estates in the former March of Friuli, including Gorizia. von Görz ("Count of Gorz"). estate of Farra, held by the Patriarchs of Aquileia. Princely County of Görz (Gefürstete Grafschaft Görz). 1420 - Sep 1511 Gradisca is part of the Venetian Republic (annexed in 1473). 22 Apr 1508 - Aug 1509 Venetian occupation of Görz/Gorizia. Hans Ulrich von Eggenberg (Grafschaft Gradisca). 23 Feb 1717 Eggenberg dynasty becomes extinct, Gradisca under Habsburg rule. 1747 - 1754 Görz and Gradisca a dependency of Krain (Carniola). (Gorizia) and Gradisca (Grafschaft Görz und Gradisca). 21 Mar 1797 - Apr 1797 French occupation. 1805 - 1806 French occupation. majority of Görz territory remained part Austria. 14 Oct 1809 - 1813 Gorizia annexed by France, as part of Illyrian Provinces. 25 Dec 1809 Province of Gorice (Gorizia), within Illyrian Provinces. 6 Oct 1813 Austria re-occupies Görz (Gorizia). 30 May 1814 Austrian rule formally restored (remains within Illyria). Österreichisches Küstenland (Austrian Littoral)(see above). 15 Nov 1860 - 6 Apr 1861 Administered directly by the governor of Küstenland. a governor (the governor of "Küstenland") with Trieste and Istria. 21 Dec 1867 Part of Austrian "half" of the Austro-Hungarian state. Capello (b. 1859 - d. 1941) . 4 Nov 1918 Görz (Gorizia) occupied by Italy. 10 Sep 1919 Gorizia ceded to Italy. 1454 Phoebus von Thurn "der Ältere"
1459 Phoebus von Thurn "der Ältere"
1460 Phoebus von Thurn "der Jüngere"
1464 Phoebus von Thurn "der Jüngere"
1472 Phoebus von Thurn "der Jüngere"
+ Erasmus von Dornberg "der Ältere"
1504 - 1508 Erasmus von Dornberg "der Ältere"
gradually occupied by Republic of Venice. suzerainty of Aquileia Patriarchate (with interruptions). 1149 Some cities on the Istrian coast become tributaries of Venice. Andechs, who attach Istria to their Duchy of Merania. to the Counts of Görz (Gorizia). 1267 Istrian interior under the Counts of Görz (Gorizia). 1291 Peace of Treviso between the Patriarch of Aquileia and Venice. 1331 Pola subjugated by Venice. 1348 Rebellion of Capodistria to the Patriarch of Aquileia. inherited by the Habsburg archdukes of Austria. the maritime cities and most of the seaboard. May 1797 - Jun 1797 French occpation. 11 Jun 1797 Venetian Istria occupied by Austria. 17 Oct 1797 Venetian Istria annexed to Austria (as part of Dalmatia). 19 Nov 1805 French occupation. 25 Dec 1805 Ceded to France by Austria. 1 May 1806 Reunited and annexed by Kingdom of Italy (as département Istrie). (de jure 25 Dec 1809?). 15 Apr 1811 Formation of Intendance of Istrie. 11 Sep 1813 Pola occupied by Austria. 13 Sep 1814 - 3 Aug 1816 Istria divided between Trieste and Fiume counties (Kreisamt). Istrianer Kreis [including Veglia, Cherso and Lussin Islands]). 4 Mar 1849 - 15 Nov 1849 Margraviate of Istria declared an Austrian crownland (not effected). "Küstenland") with Trieste and Görz. 21 Dec 1867 Part of Austrian "half" of the Austro-Hungarian Monarchy. 9 Nov 1918 Occupied by Italy. 10 Sep 1919 Formally ceded to Italy by Austria. the territory of Yugoslav Zone B). c.543 Bishopric of Salzburg founded by St. Rupert. 798 Archbishopric of Salzburg (Erzstift Salzburg). 1278 The archbishop becomes prince-archbishop (Fürsterzbischof). 11 Feb 1803 Salzburg is secularized as Duchy of Salzburg (Herzogtum Salzburg). Holy Roman Empire 6 Aug 1806) when transferred to Würzburg. 30 Oct 1805 - Feb 1806 Occupied by France and Bavaria. 26 Dec 1805 Habsburg-Lothringen dynasty established. 30 Apr 1809 - 26 Sep 1810 Occupied by France (captured by Bavaria on 29 Apr 1809). 12 Sep 1810 Incorporated into Bavaria. 1 May 1816 Restored to the Austria (as a kreis of Österreich ob der Enns). 1 Jan 1850 Duchy of Salzburg a separate crownland. 1 May 1860 - 15 May 1861 Briefly re-incorporated into Österreich ob der Enns. 976 March of Styria (Steiermark). 18 Sep 1180 Duchy of Styria (Herzogtum Steier, later Steiermark). 4 Mar 1849 Steiermark a crownland of the Austrian Monarchy. Bishop Altmann of Trent and builds Tyrol Castle. first time, County of Tirol/Tyrol (Grafschaft Tirol). Meinhard III of Gorizia (Görz), (Gorizia-Tyrol). Lothringen from 29 Nov 1780). 1406 - 19 Aug 1493 Tirol part of a separate Habsburg polity. 1493 Princely County of Tirol (Gefürstete Grafschaft Tirol). 1512 Joined the Austrian Circle in the Holy Roman Empire. 25 Jul 1564 - 25 Jun 1665 Tirol and Vorarlberg a separate Habsburg polity. 9 Mar 1801 Bishopric of Trent secularized and incorporated into Tirol. 5 Nov 1805 French occupy Innsbruck (by the 6th Corps). 6 Dec 1805 Occupied by Bavaria. 26 Dec 1805 Tirol (with Trient and Brixen) and Voralberg ceded to Bavaria. 11 Feb 1806 Annexed by Bavaria. invasion. Provisional administration organized 8 Apr 1809. 19 May 1809 - 29 May 1809 Bavaria re-occupies Innsbruck. 30 May 1809 - 30 Jul 1809 Austria re-occupies Innsbruck. 30 Jul 1809 - 8 Aug 1809 French occupy Innsbruck (by 7th corps de l'armée d'Allemagne). 14 Aug 1809 Bavarian forces withdrawn. 15 Aug 1809 - 1 Nov 1809 Austrian rule restored. 1 Nov 1809 - 15 Nov 1809 Franco-Bavarian occupation of Innsbruck. 15 Nov 1809 Bavarian rule restored. 1 Nov 1810 Organized by Bavaria as Innkreis (Inn county). ceded by Bavaria to the Napoleonic Kingdom of Italy. 11 Oct 1813, Trient 16 Oct 1813). 26 Jun 1814 Tyrol reunified and formally restored to Austria. Tirol mit dem Lande Vorarlberg) made a crownland of Austria. 6 Apr 1861 Princely County of Tirol (Gefürstete Grafschaft Tirol) a crownland. May 1915 - 4 Nov 1918 Italian occupation of Austrian Trentino border areas. 4 Nov 1918 Southern Tirol occupied by Italy. 10 Sep 1919 Southern Tirol (Trentino/Alto-Adige) formally ceded to Italy. the Habsburgs between 1363 and 1814. 8 Apr 1363 Lordship of Neuburg a Habsburg possession (Herrschaft Neuburg). 8 Apr 1363 - 9 Mar 1801 Vorarlberg a district of Vorderösterreich. 5 Apr 1394 Lordship of Bludenz incorporated (Herrschaft Bludenz). (southern portion added 5 Sep 1523)(Grafschaft Bregenz). by Bavaria 1 Sep 1806-7 Jun 1814) (Reichshof Lustenau). 1 Dec 1783 Kreis- und Oberamt in Vorarlberg organized within Tirol. (Reichsfreie Herrschaft St. Gerold & Reichsherrschaft Blumenegg). 13 Mar 1806 - 19 May 1809 Annexed to Bavaria (formally from 1 Jun 1806). 19 May 1809 - 25 May 1809 Pro-Austrian rebellion interrupts Bavarian rule. 25 May 1809 - 29 May 1809 French occupation. 29 May 1809 - 6 Aug 1809 Austrian rule restored (subordinate to Tirol). 6 Aug 1809 - 29 Aug 1809 French occupation. 29 Aug 1809 - Nov 1809 Occupied by Württemberg. 7 Jul 1814 Austrian rule restored (part of Tirol as Kreis Vorarlberg). 30 Nov 1854 Kreis Bregenz established, Kreisregierung abolished. 1 Sep 1860 - 6 Apr 1861 Kreisamt abolished, Vorarlberg ruled directly by Tirol. dependent of the government in Tirol). Note: Unlike most of the other territories which became part of the Habsburg realm the region of Anterior Austria which was called Vorderösterreich (Further Austria) or the Vorlande, did not form one contiguous polity. The area was divided into several minor polities, which were taken over by the Habsburgs between 1301 and 1780. The Habsburg dynasty ruled over a number of territories scattered over southwestern Germany - the Sundgau, in the Alsace (until 1648); the Breisgau; the Burgau with the (future) Vorarlberg being final remaining part. Summarily they were referred to as Vorlande or Vorderösterreich. 1089 Landgraviate of Upper-Alsace (Nordgau) a Habsburg possession. 1172/73 West of Zürichgau in hands of the Habsburgs who hold the Aargau. 1120 - 1219 Freiburg im Breisgau a Free Imperial City. 1301 Margraviate of Burgau (Markgrafschaft Burgau) a Habsburg possession. 1330 Rheinfelden and Schaffhausen Habsburg possessions. 8 Apr 1363 - 9 Mar 1801 (Future) Vorarlberg area a district of Vorderösterreich. 1368 Breisgau a Habsburg possession. 26 Oct 1381 County of Hohenberg (Grafschaft Hohenberg) a Habsburg possession. the Vorlande - subordinated to Tyrol. 1458 Rapperswil lost to the Swiss Confederation. 1469 - 1474 Vorderösterreich pawned to Charles, duke of Burgundy. 1480 Thurgau lost to the Swiss Confederation. 1484 Sold to Duke of Bavaria, but later retaken by Emperor Maximilian I. (formerly a free imperial city 1192-1548). 1556 Ortenau a Habsburg possession. 1632 - 1634 Occupied by France. 1638 - 1651 Regency of Ensisheim ceases all activities. May 1644 - 2 Aug 1644 Occupied by France. the Rhine ceded to France. 1677 - 1678 Breisgau occupied by France. 1713 - 1714 Breisgau occupied by France. 1741 - 1745 Breisgau occupied by France. seats: Freiburg and Constance, from 1759 Freiburg only. 1755 Argen, Schomburg and Wasserburg become Habsburg possessions. Ortenau transferred effectively in 1803. 13 Aug 1802 Fricktal annexed to Switzerland (see under Aargau). 28 Feb 1810 Freiburg im Breisgau ceded to Baden and Tettnang to Württemburg. 7 Jul 1814 Vorarlberg is restored to Austria (see Vorarlberg).